•In real estate, it's "Location, Location, Location." However, in selecting a multimedia production company to develop your interactive program, it's "Experience, Experience, Experience" that counts. 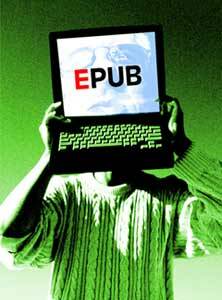 The E-Publishing Group, LLC (EPub) boasts over 25 years of multi-industry know-how. Previously a division of Multimedia Software, Inc., EPub offers a team of experienced professionals with a personalized/hands-on approach to multimedia software production and delivery, making sure that every client is thoroughly delighted. Please take your time and explore our website. You'll find that we can easily help make your next production a success, be it for a museum or visitor center, a product launch, or a staff training initiative. If you need more information, feel free to contact us.